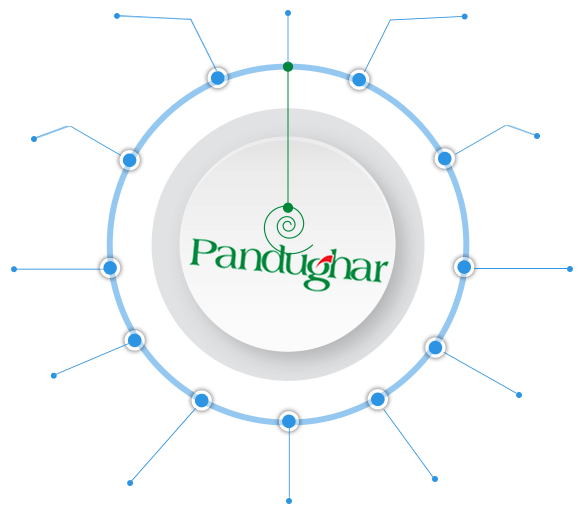 Pandughar is a group of successful businesses and development initiatives. Pandughar currently engages in real-estate, ready-made garments, composite textile, consumer goods, information technology, financial services and agricultural export related industries with revenues of over USD 200 million in 2016 and more than 15000 family members. Pandughar started its journey in 1995 and was formally incorporated as a holding company in 2012. Nazim Uddin Ahmed, Chairman of group, named it after his ancestral village of south-eastern Cumilla region of Bangladesh. Pandughar group believes that its strong position stands on the positivity and capability that each valuable member brings to the family. The family therefore aims to widen and strengthen its services by nurturing a culture of acquiring and sharing knowledge and capabilities across members of the group. The family pursues this goal in sustainable and responsible ways. MARS Solution Ltd. joins the Pandughar family in 2017 to strengthen in the dimension of Information Technology industry throughout the nation. Dhaka Ice Cream Industries Ltd.
Interstoff Apparels Ltd. South East Textiles (Pvt). Route To Market International Ltd.
Pandughar Agro & Foods Ltd.
Urban Design & Development Ltd.